I cannot say enough good things about the Form to Function Gaited Clinic this past weekend! Nicole Carswell Tolle and Denise Bader of Walk N Style gave all of us a great toolbox of techniques and equipment to improve our horses for both show and trail. I don't think there is been a single event in my life where my riding his improved so quickly and it was fun to see the same in those around me! 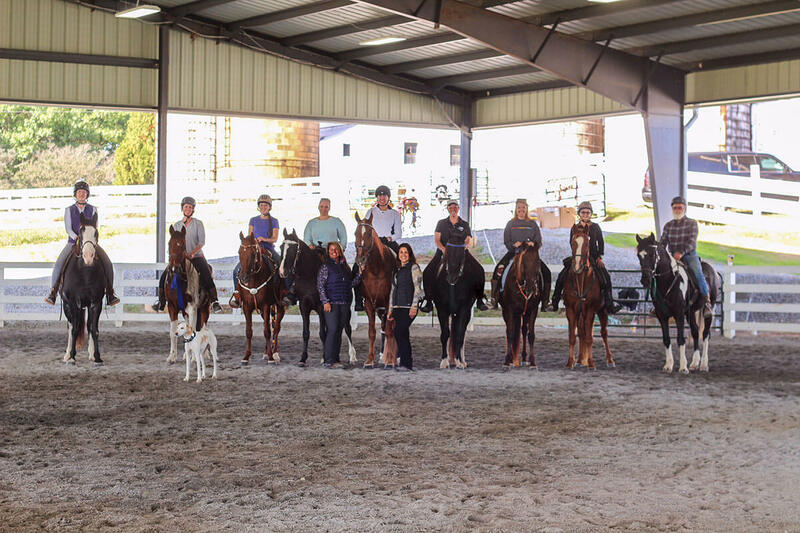 If you are unable to attend last weekend please contact Nicole at (719) 553-7283 to join in on the clinic in Windsor, VA this weekend or to pre-register for the Virginia horse festival clinic in March. And don't worry, we are looking forward to having these ladies back again next year and are also excited to offer another clinic in February with more great clinicians from the heart of Walking Horse Country! Denise and Nicole, thank you for everything!!! I would also like to send out a heartfelt thank you to Addie Harris for sharing her photography talents with us and capturing all of our special moments! Everyone from the clinic that is asking about pictures can contact her at (804) 304-1295.